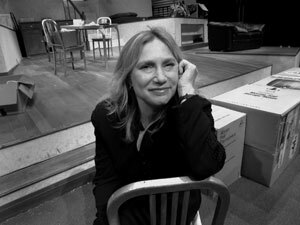 I seek to direct lasting new work and exuberant classics, rich in language, that examine the heart of humanity and the universality of our experience. I believe in theater as necessary art form. I believe in its power as an expression of the human spirit to communicate the universality of our experience: love, endurance, forgiveness, death, spirituality. I believe that through theater, we see the commonality of experience in the individual and diverse. I believe in the power of the playwright through language, character and story to transform our world. I believe the audience is the final participant in the collaborative art that we create.